Freedom of Conscience Defense Fund stated the initiative violated the Constitution because it singled out Muslim students for preferential benefits and empowered Hamas/CAIR with governmental decision-making authority. This is a big win for the students at San Diego Unified School District, and UTT hopes many other school districts will follow suit. While CAIR bills itself as a “muslim civil rights” organization, evidence does not support this. 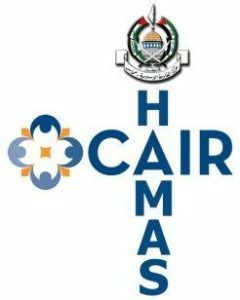 In fact, the evidence demonstrates CAIR is a Hamas entity. Hamas is a terrorist organization. It is also worth noting that Understanding the Threat (UTT) assesses that the National Director for CAIR – Nihad Awad – is the General Masul (Leader) of the U.S. Muslim Brotherhood and the current leader of Hamas in the United States. Hamas is an inherent part of the Muslim Brotherhood. The Islamic Center of San Diego is a Muslim Brotherhood mosque owned by the North American Islamic Trust (NAIT). The Islamic Center of San Diego was also involved in supporting Nawaf al Hazmi and Khalid al Mihdhar, two of the 9/11 hijackers. Specifically, the 9/11 Commission Report investigation revealed the two hijackers lived close to the Islamic Center of San Diego, and purchased a vehicle from a member of the mosque who let them use his address to register the vehicle. The director Taha Hassane acknowledged Nawaf al Hazmi and Khalid al Mihdhar prayed at the mosque at least a few times. Imam/director Taha Hassane is also a member of the advisory boards of the San Diego Police Department, the Interfaith Advisory Board of the San Diego District Attorney and a member of the CAIR California executive committee. We applaud the hard work of Freedom of Conscience Defense Fund and all those involved in this victorious lawsuit. UTT encourages you to go to www.fcdflegal.org.